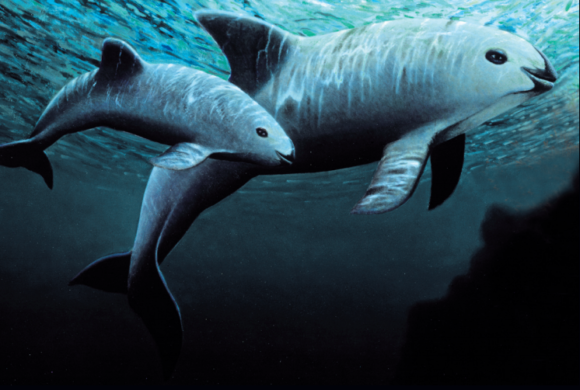 Save the vaquita: Near extinct porpoise needs help fast | Dallas ZooHoo! Dallas Zoo’s conservation intern Heaven Tharp guest-blogs on ZooHoo! The vaquita porpoise is the world’s most endangered marine mammal — there’s fewer than 30 left. But I bet you didn’t know that. The Dallas Zoo, along with AZA SAFE (Saving Animals From Extinction), is supporting a heroic $1 million emergency rescue plan to save the vaquita. This weekend, July 14-16, we’re raising awareness and money with a Save the Vaquita Weekend Beach Party. The vaquita is the ocean’s smallest cetacean, only reaching up to 5 feet in length and weighing about 120 pounds. That’s about as big as an average 13-year-old boy. They’re best known for the unique black ring around each eye, and black curved lips that are often described as a smile. Vaquitas have the most restricted range of any marine mammal — they’re only found in the northern Gulf of California, also known as the Sea of Cortez. This small porpoise wasn’t discovered until 1958, and sadly, a half century later, it’s on the verge of extinction. Vaquitas are continuously caught in the cross fires of fishermen fishing for totoaba; it’s a critically endangered fish that’s in high demand across China because their swim bladder is considered a delicacy. 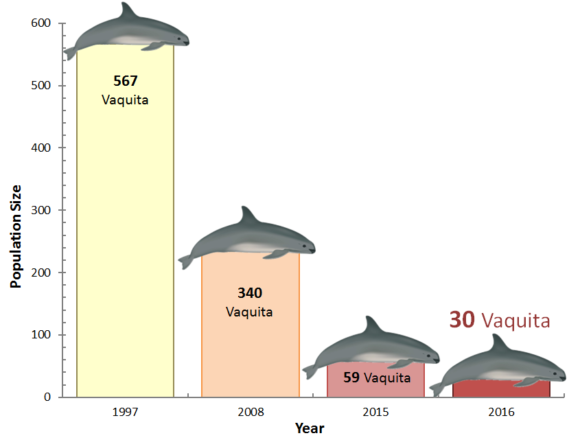 For vaquitas, the biggest problem is the fishing gear itself. Gillnets cause accidental trapping, and it’s leading to their demise. 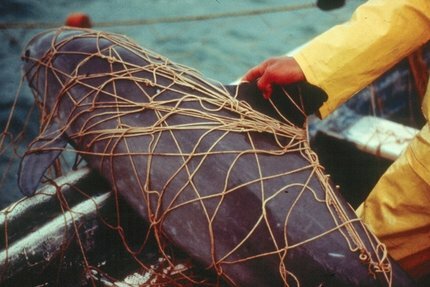 Just last month, Mexico placed a permanent ban on the use of gillnets in the northern Gulf of California. Unfortunately, illegal fishing with these nets is still a huge problem. This weekend, we invite you to join us in taking immediate action to save the remaining 30 vaquitas. Spearheaded by a committee of interns and volunteers passionate about this species, Dallas Zoo’s Save the Vaquita Beach Party kicks off Friday, July 14, on Cat Green. From 10 a.m. to 4 p.m. each day (with extended hours until 8 p.m. during Saturday’s final Safari Nights concert) we’ll have children’s beach games, a bounce house, and face-painting on Cat Green in ZooNorth. The party and games are free with Zoo admission (bounce house and face painting are $5 each). And donations to Vaquita SAFE are appreciated! Also, visit the Lacerte Family Children’s Zoo Discovery House and write a note of encouragement to the vaquita conservation heroes on the front lines. We’ll be sure to mail it to them! You can also purchase a specially designed “Save the Vaquita” t-shirt ($15), stickers ($2), or a limited-edition wristband ($5). A $20 donation gets you all three! There will also be unique handmade vaquita-themed merchandise for sale, and we’ll all have a lot of beach party fun. Choosing to buy sustainable seafood. Spreading the word: tell five people about why the vaquita needs our help! Donating to the Dallas Zoo’s “Save the Vaquita” effort. We’ll send all money raised directly to Vaquita SAFE to save this marine mammal from extinction. We look forward to seeing you — let’s party #4aPorpoise!